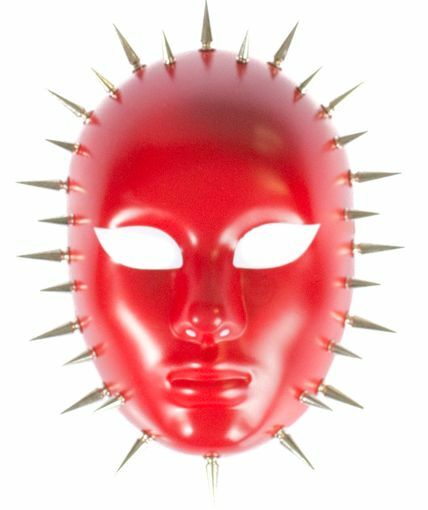 This spike Mask is hand painted red and decorated with metal spikes. Mask is made of a durable molded resin and metal. Available in red and black.